2017 F-350 SuperDuty Lariat for sale in Vernon, Okanagan, BC. 2017 Ford F-350 SuperDuty XLT For Sale In Vernon, Kelowna, Okanagan, BC. Say “yes” to any job, knowing the 2017 Ford F-350 SuperDuty XLT is more than capable of getting the work done. No matter how tough the task, this two- or four-door truck is ready for the challenge. Choose between a Regular Cab, Super Cab or Crew Cab to seat up to six. With the option of either the 6-3/4’ or 8’ box, you have ample space for all your tools and equipment. An aggressive appearance captures your attention with the 2017 Ford F-350 SuperDuty XLT. Chrome bumpers and a chrome bar-style grille contrast your choice of body colours for an appearance that will not be easily ignored. Load and unload with ease thanks to the power locking tailgate while the Tailgate Assist enables you to get in the box quickly and efficiently. 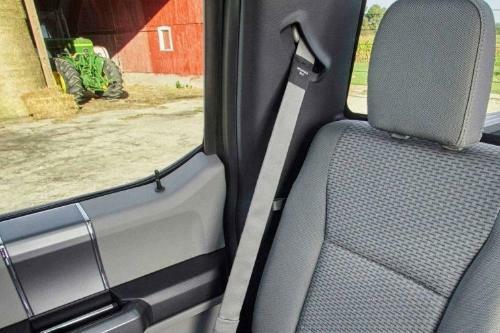 Relax in the power adjustable driver seat with eight-way lumbar support as you drive the 2017 Ford F-350 SuperDuty XLT to work or home. 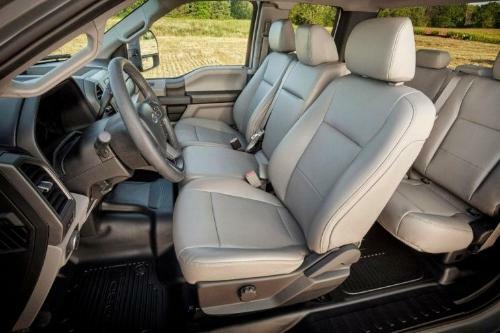 These seats deliver outstanding comfort and flexibility, ensuring that not journey feels too long. The available heated front seats keep you warm in the winter so that you can enjoy the adventure without hesitation. Modern convenience and advanced ergonomics are found throughout the layout as you enjoy cruise control and automatic climate control in an environment that was designed with you in mind. Every journey is more enjoyable in the 2017 Ford F-350 SuperDuty XLT as you listen to the clear, crisp sound of your favourite tunes coming through the audio system with up to six speakers. Expand your music and entertainment options with SiriusXM satellite radio and access over 120 commercial-free channels of sports, news, comedy and more. Thanks to SYNC, you have an infotainment system that keeps you in touch and informed with hands-free access to your compatible devices. Add the optional navigation system to ensure you can always find your destination as it delivers turn-by-turn directions to an array of manually-selectable destinations and points of interest. Accessorize your 2017 Ford F-350 SuperDuty XLT to meet your needs and showcase your style. 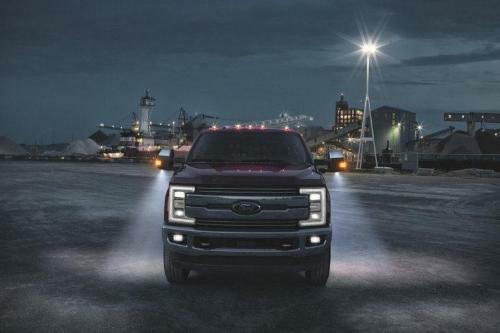 Through the addition of running boards, you are given easy access to the cab, while fog lamps brighten any night for increased visibility on the road. LED box lighting allows you to see better when you have to work after dark, ensure that no job is left unfinished. All of the Ford accessories are designed to work with your model; the only thing left to do is select which ones work best for you! Two engine options ensure you have all the power you need with the 2017 Ford F-350 SuperDuty XLT. Whether you prefer gasoline or diesel, you’ll enjoy exceptional performance. With the TorqShift heavy-duty six-speed SelectShift automatic transmission, you can experience precise handling whether you’re pulling a heavy load or riding empty. Trailer sway control, and AdvanceTrac with roll stability control keeps you on the road while the integrated trailer brake controller provides additional safety as you move along on your way. Continuing to stand out from the crowd, the 2017 F-350 SuperDuty XLT has what buyers need in a hard-working pickup. Thanks to advanced safety features, you can travel with confidence with the 2017 F-350 SuperDuty XLT. 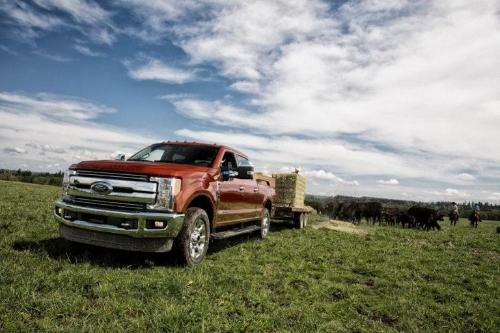 Every 2017 F-350 SuperDuty XLT is backed by Ford’s superior warranty. If you’re looking for a tough and capable truck that is as stylish as it is functional, look no further than the 2017 Ford F-350 SuperDuty XLT. Impressive towing power and dependability meet modern design and advanced technology to give you everything you need for the journey. This model is sure to provide the reliability and comfort you’re looking for as well. Stop by ﻿﻿Watkin Motors Ford﻿﻿ to test drive the 2017 Ford F-350 SuperDuty XLT. Come in and see how well it handles when you get behind the wheel. Trust your local Vernon Ford Dealer – Watkin Motors Ford for your next Ford truck, car or SUV.